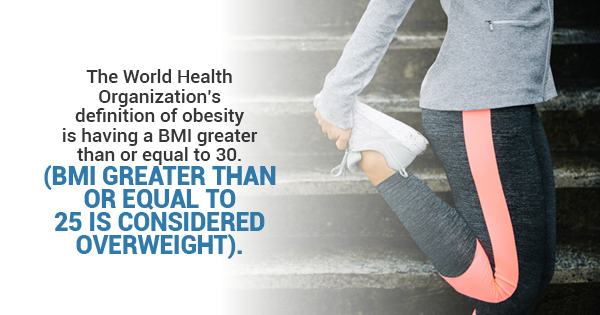 The World Health Organization’s definition of obesity is having a BMI greater than or equal to 30 -- BMI greater than or equal to 25 is considered overweight. But regardless of your BMI, you should be aware of the delicious options you'll have this season when it comes to indulging while staying healthy. Plenty of foods are great to enjoy in winter and have redeeming health benefits as well -- let's take a look at a few popular choices. Sweet potatoes are colorful, versatile, and most of all, healthful. They can be incorporated into countless dishes for a flavorful and fat-burning boost, and they're quite affordable as well. "Sweet potatoes may just be your cold-weather fat-burning secret. Sweet potatoes are a great source of fiber, which helps keep you feeling full while burning calories by putting your digestive system to work. And they also contain a hormone that helps regulate your blood sugar. Stick with simply seasoned boiled or steamed sweet potatoes -- not a sugary dessert -- if you are eating for weight loss," writes Michele Foley on PopSugar. It may seem surprising, but it's true: dark chocolate can help burn fat. It has caffeine and an antioxidant called catechin. Those with a sweet tooth will be delighted to see that dark chocolate has made this list, but it comes with strings attached. It's okay to enjoy a square or two after a meal, but having too much sugar and fat takes away from its underlying holistic benefits. Enjoy it in moderation to make the most of its fat-burning potential. Nutritionists agree that turkey isn't just for Thanksgiving -- you can enjoy it all throughout the season. This lean protein helps increase your metabolism and burn fat. It's incredibly versatile, so it can be incorporated into any lifestyle diet plan. Ultimately, losing 5% to 10% of your weight is proven to lower your chance of developing heart disease, and keeping your food choices in mind throughout the season is the best way to burn fat and stay fit. For more information about lifestyle diet plans, contact 20/20 LifeStyles.